Where Your Team's Dreams Come True! The Theme Park Capital of the World has so much to offer besides long lines and mouse ears. Give your team a chance to play at any of the various playgrounds in this city. 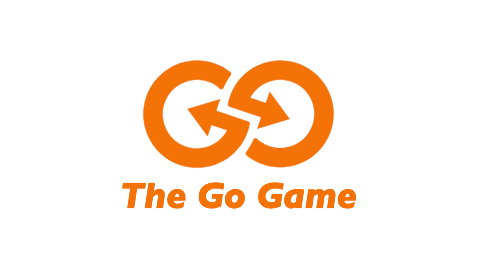 With the help of The Go Game (and permission), you'll be Waltzing around Disney or splashing around Sea World in no time. The go team did a really good job to get us to work together. The whole scavenger hunt was very entertaining and fun. Our team really embraced it and enjoyed it. Take a break from the Fast Pass lines and check out downtown Orlando. With Lake Eola as your backdrop, your team will be gushing creativity for our hilariously fun challenges. Just watch out for the swans! Have another place in mind? With all of good bars and restaurants, there are plenty of great spots in the neighborhood to end your game. We couldn't ask for a better game zone than the Universal City Walk. You can swing from the trees at the Endangered Species Store, rock out at Hard Rock, or enjoy Forest's legacy at Bubba Gump Shrimp. And let's be honest, who doesn't love a game zone where you can travel with your very own three-foot-tall margarita (courtesy of the Jimmy Buffett's spot) at all times? Enjoy the downtown of the most magical place on earth! Snag some provisions at the Marketplace, set sail from The Empress Lily, weave in and out of Town Center, and wrap up at one of the many entertaining restaurants found in Disney Springs. This game zone has everything you need for an epically fun team building event. Turn those hotel keys to unlock a hilarious adventure at your upcoming conference. Stretch your legs and explore the beautiful the world right outside those conference room doors. Golf course relay races? Poolside paparrazi shots? Think about it...your resort is just a playground waiting to happen. Booked your stay somewhere else? We can turn any hotel resort into the setting for your team's next adventure.